While IPOs worth Rs 14,000 crore are already in the final stages of hitting the market, experts say the overall pipeline currently stands at well in excess of Rs 50,000 crore. Ending the IPO drought, 21 companies have entered Dalal Street in 2015 with initial public offers to garner Rs 13,600 crore-the highest in five years-and an impressive pipeline is already in place for the new year. Adding to the depth of the IPO market, companies from diverse sectors such as renewable energy, QSRs, logistics, pharma, electronics and airlines have made their way into the IPO space this year. The total funds collected by the 21 IPOs in 2015 is the highest since Rs 37,534.65 crore garnered in 2010. As an icing on the cake, the year has seen as many as 60 per cent of the newly listed stocks trading at a high premium over their issue prices, as against most of the stocks trending below issue price in previous years. The star performers this year include InterGlobe Aviation which runs the country's largest airline IndiGo (Rs 3,017 crore), Coffee Day Enterprises that owns the largest coffee chain Cafe Coffee Day (Rs 1,150 crore), Alkem Laboratories (Rs 1,350 crore) and Inox Wind (Rs 1,020 crore). "While a few companies that launched IPOs this year have not done well, a majority of them have given positive returns," Kotak Securities executive vice-president Trivikram Kamath said. "Several of these companies are in emerging spaces like renewable energy, amusement parks, quick service restaurant chains, logistics and airline," Kamath added. The sectors represented on the IPO mart also included engineering (Power Mech Projects), beverages (Manpasand Beverages), milk and dairy products (Prabhat Dairy). Two companies-Ortel Communications and UFO Moviez-represent the electronics and consumer and media industries, while Adlabs Entertainment is into amusement parks. Four companies belong to the healthcare sector (Alkem, Dr Lal Path Labs, Narayana Hospitals and Syngene International), while two represent the roads and highways sector (MEP Infrastructure Developers and Sadbhav Infra Project). The response to small and medium companies was also upbeat with dedicated SME platforms witnessing fund raising of Rs 252 crore. In comparison, Rs 267 crore was raised in 2014 and Rs 335 crore were mopped up in 2013 by SME IPOs. ICICI Securities' Executive Director Ajay Saraf said, "The retail investors on an average made a 17-20 per cent return in the current year. The trend of blockbuster response from retail investors in the recent listings can be anticipated to continue in the forthcoming issues." Going forward, the IPO market is expected to get even better in 2016, with at least 32 issues worth Rs 14,260 crore already lined up for the new year, according to investment bankers. According to Prime Database, 21 companies have already secured regulator Sebi's go-ahead for share sales worth Rs 8,800 crore. They may launch their IPOs early next year. 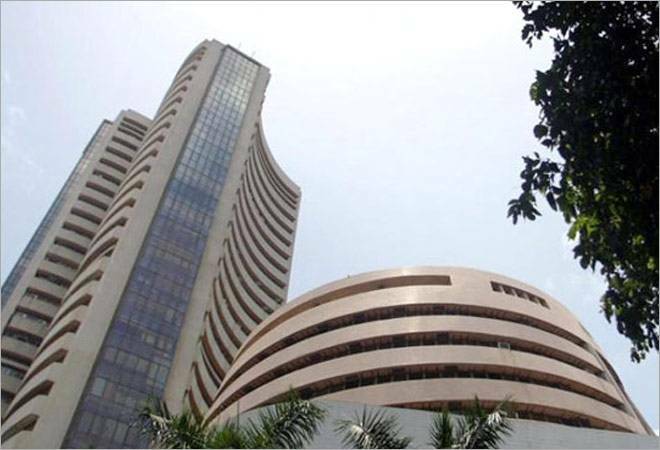 Some of the major IPOs lined up include Rashtriya Ispat Nigam (Rs 1,500 crore), AGS Transact Technologies (Rs 1,350 crore), Dilip Buildcon (Rs 750 crore), Nuziveedu Seeds (Rs 700 crore) and Paranjape Schemes (Rs 600 crore). Besides, issues from Matrix Cellular (Rs 500 crore), Catholic Syrian Bank (Rs 400 crore) and Matrimony.com (Rs 450 crore) are also expected. Moreover, 11 more companies are awaiting Sebi go-ahead to mop up Rs 5,445 crore from IPOs. These issuers include RBL Bank (Rs 1,500 crore), Mahanagar Gas (Rs 1,200 crore), Equitas Holdings (Rs 750 crore), GVR Infra Projects (Rs 500 crore) and VLCC Health Care (Rs 400 crore). A lot other companies are also readying their IPO plans and the overall pipeline is estimated at Rs 50,000 crore. "The increase in the number of IPOs, as witnessed this year, is likely to continue over the next few years," NSE's business development chief Ravi Varanasi. "In the coming years, majority of new listings will be driven by the new economy companies in diverse sectors such as e-commerce, fintech, biotechnology," he added. The premier bourse BSE is expecting to list around 15 IPOs on its main board and 15-16 issues on its SME platform in the first half of 2016. The BSE's SME platform is the largest with over 100 companies trading. "There are about 30 companies on the main board and 18 firms on the SME platform which have got IPO approvals," a BSE spokesperson said. Experts see many more firms and small finance banks licensees tapping the IPO market to raise funds in 2016. Interestingly, some experts say that the primary markets may have done better than the previous five years in 2015, but still there are not many IPOs that are suitable for retail investors. "For retail investors there are still no suitable issues coming in... IPO markets are not where the retail investors gain. They are markets where retail investors lose," ArthVeda Capital executive vice-president Vikas Gupta said. Gupta also observed that the recent IPOs were mainly driven by the private equity players who had to exit. In that sense, the funds were not raised for growth and the promoters were rather forced to tap the market. "The IPO boom we saw in 2015 was driven mostly by PEs wanting to exit after a long wait, rather than due to a need for IPO money for growth and expansion," Gupta said. The primary market is still not in such a good condition that good companies can plan an IPO and raise money easily, he added. Echoing similar sentiments, Prime Database Managing Director Pranav Haldea said the retail interest in IPOs this year remained mostly lukewarm and the retail portion was not subscribed fully in many issues. IIFL Research Head Amar Ambani said, "From investors' perspective, the IPOs suffer from information asymmetry as well as pro-cyclicality which should in principal make IPOs less attractive for retail investors." "Data from the past 12 years suggest that just a third of the IPOs have outperformed the market in the year post-listing and just 25 per cent outperform three years post-listing," he added. Talking about investor returns from IPOs this year, Samco Securities' CEO Jimeet Modi said, "If one assumes that an investor has subscribed to all IPOs and has invested capital, and held on to the positions till date, he would have earned 35-38 per cent more." "Though the response to some issues has been tepid, we have seen overall retail investors subscribing to primary issues have made money in the market," he added. Expecting a more vibrant IPO market in the coming year, experts said the success of the issues will depend more on the quality of the business/promoters and the valuations on offer. "As bull market continues, more IPOs will come in. A bunch of e-commerce firms will also capture their share of money but may take some more time to hit market," Modi said, while adding that the bull market may also result in higher valuation for IPOs causing a lot of risks to investors.